I think I’m slightly obsessed with trifles and mostly because I LOVE layered desserts! 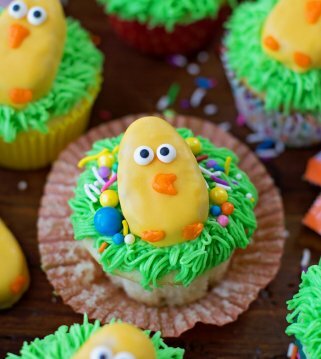 They are so fun to make and usually look so pretty that you almost don’t want to eat them. 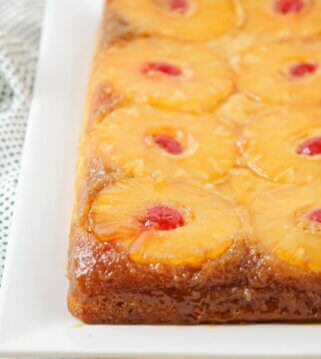 Fortunately, I said almost, and most people are willing to dive right in with these delicious desserts. 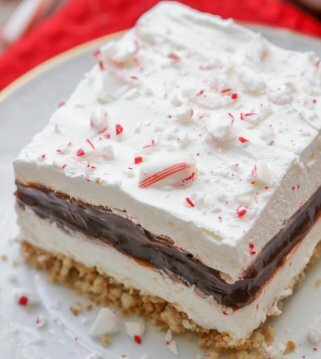 A few years ago, I made a Grasshopper Trifle that ended up being a hit, so I thought I would make a peppermint version for a Christmas Trifle. 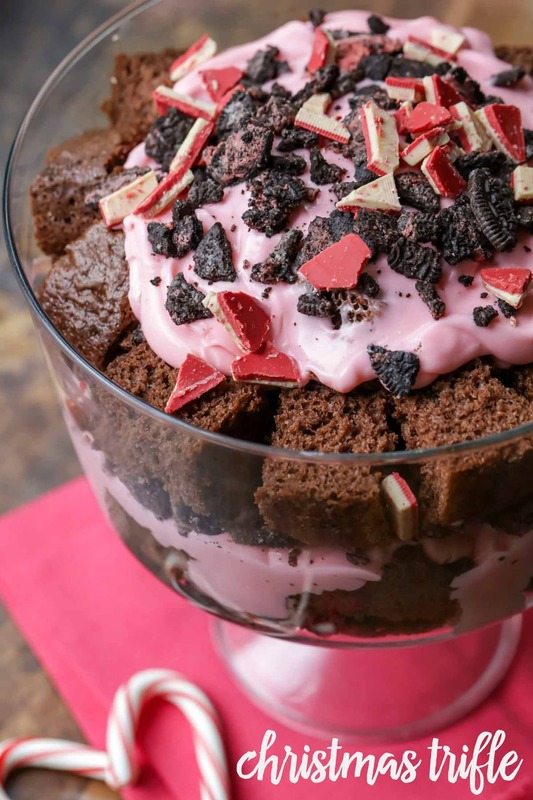 This trifle is a delicious combo of chocolate cake pieces, Oreos, peppermint cheesecake filling, and Peppermint Andes. 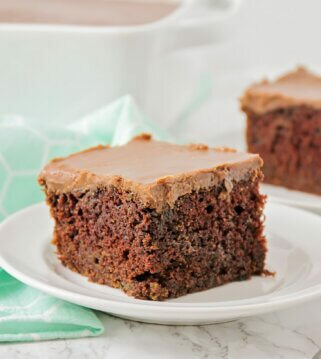 If you’re like me and love the chocolate and peppermint flavor combo, then you’ll enjoy this dessert. It is cool, creamy and screams holiday goodness. 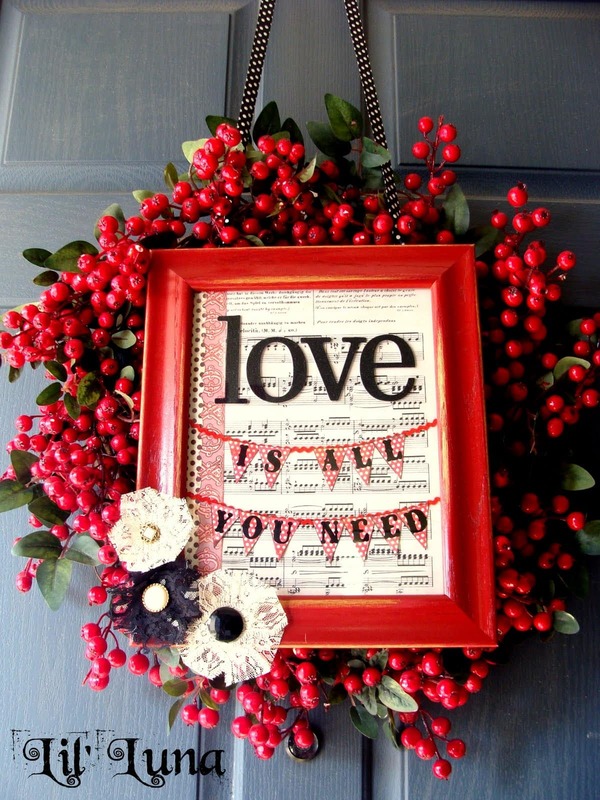 It takes time to make, but it is still simple and great for upcoming holiday gatherings. 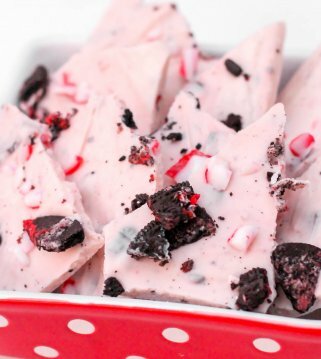 Check out the peppermint Oreos + Peppermint Andes – so good! 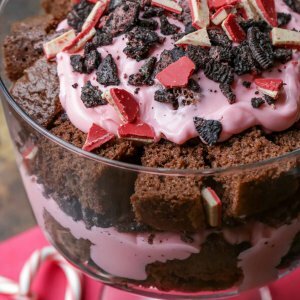 Christmas Trifle - a layered dessert with chocolate cake pieces, Oreos, peppermint pudding and Peppermint Andes - perfect for your holiday get together! 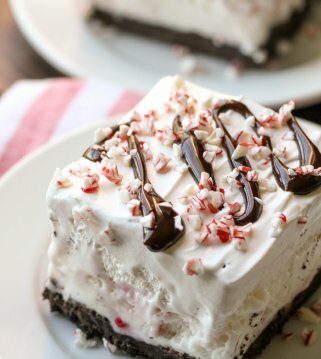 Make peppermint filling by whisking together pudding mix and milk in a large bowl. Once combined, add peppermint flavoring, pink food coloring and all but 1 cup of your cool whip. Mix well. Set aside. Cool for at least 1-2 hours before serving. ENJOY!